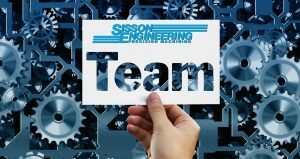 The team at Sisson Engineering Corp. is second to none. Recently we have acquired some new “talent” throughout the shop including 4 Engineers, 4 Setup Personal, 3 Quality Inspectors and 15 CNC operators. We continue to use the latest versions of SolidWorks and CamWorks for process engineering along with PC-DMIS scanning and measuring capabilities. This all translates into a highly capable and efficient manufacturing team bringing together experience, capabilities, and high end service that make us a manufacturer of choice. It is this versatility from within that allows us to deliver results and build lasting partnerships with our clients.